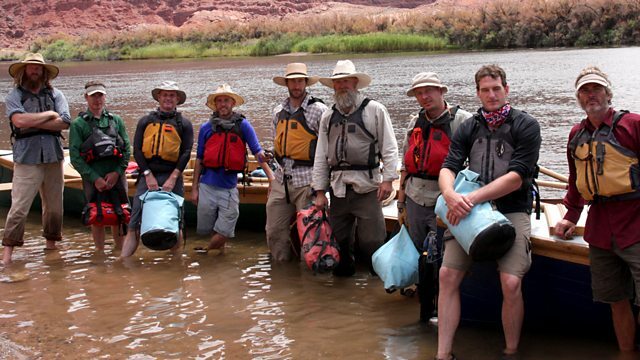 Dan Snow and his team continue down the Grand Canyon in antique wooden boats as they rediscover one of the Wild West's great adventures. Dan, Tom and Dougal taking the wrong line down Bedrock Rapid. Compare diary accounts of the pioneering 1869 expedition with our modern day recreation.